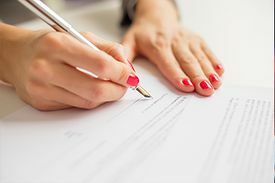 When a contract dispute goes to court, the party bringing the action will seek a remedy, which is the relief they are asking for. Client wants to know what type of award a judge might make if a consumer or credit problem goes to court. When a matter goes to court, the party bringing the action must set out their grounds for asking for a remedy (called the “cause of action”) and the type of remedy they want (this can be called the “relief” the party is seeking). In the majority of Small Claims or Supreme Court cases brought against consumers, creditors or sellers ask for a judgment ordering the consumer to pay money. The seller or creditor is usually seeking to recover the balance owed by the consumer. For example, a creditor who is suing on a defaulted credit agreement asks for a money judgment in the amount outstanding, along with interest and costs. Similarly, a supplier of goods or services who has not been paid asks for a judgment for the amount outstanding. To successfully defend the action, the consumer must raise a defence that the court accepts, or show that the creditor or seller has failed to prove its case. Consumers may also ask for other kinds of remedies if they are sued. For example, a consumer being sued for a debt may ask the court to make an instalment payment order for the judgment (rather than ordering that the whole amount is due), or, in very exceptional circumstances, the court might order a stay of enforcement (that is, the plaintiff gets the judgment and is acknowledged to be in the right, but is not allowed to try to collect on it). In most (but not all) cases brought by consumers against sellers and creditors, the consumer also asks for a judgment ordering the other side to pay money. The consumer is usually seeking compensation for some breach of the credit or sale agreement. For example, a consumer who has paid for goods that turn out to be defective may sue for compensation to make up for the value of the defect in the goods. Or, the consumer may base a case on a separate cause of action. For example, a debtor harassed by a collection agent may bring an action for damages under the Business Practices and Consumer Protection Act (see the section on Harassment by Debt Collectors). A money judgment is the most common remedy available to consumers, but it is not the only one. In cases where there has been a fundamental breach of the contract by a creditor or seller, the court may order “rescission”. This is a legal term for undoing the contract and restoring the parties to their original situation. For example, the court may order the return of both the consumer’s money and the seller’s property. the property of a debtor has been wrongfully seized; for example, a bailiff has repossessed property not covered by the creditor’s security agreement. Other remedies are available in statute and common law under principles known as equity and unjust enrichment. It is usually necessary to get a lawyer’s advice because some of these remedies include declarations (court orders that make a party do something) and injunctions (court orders that prohibit a party from doing something). This page was last edited on 13 October 2018, at 09:21.